86% of building owners and operators are not adequately prepared for an emergency. First responders are often delayed from lack of access to basic building information or live video footage. Every day – Facilities technicians spend an average of one hour searching for documents. Every month – The average team misses six preventive maintenance tasks and logs an average of 60 hours of overtime. These challenges have serious ramifications. Nearly a third fewer work orders get completed, tenants get upset, and it becomes nearly impossible to contain the extent of damage in an emergency. These business continuity disruptions also negatively impact the reputation of the building owner or facility management team. More importantly, these challenges can be a matter of life and death. In emergencies like a fire or an explosion, life safety becomes paramount. Statistics show a fire in a building can double as quickly as every 30 seconds. In recent times there have been multiple instances of workplace violence or active shooters. First responders are often left scrambling looking for information when they require it most. All of this comes down to increased costs, lost productivity, missed revenues, and the inability to provide top-notch customer service. The question is, why does this happen? How does one ever access all this information instantly? Especially when most – if not all – of this information is still in hard copy format in older facilities. However, with today’s technology, it doesn’t have to be like this. That’s more information than most of us will ever have to manage, and yet these companies are able to deliver that within minutes if not seconds. Why can’t we? In spite of the size of this industry and the depth of technology available, facilities technicians are unable to access building information when they need it. 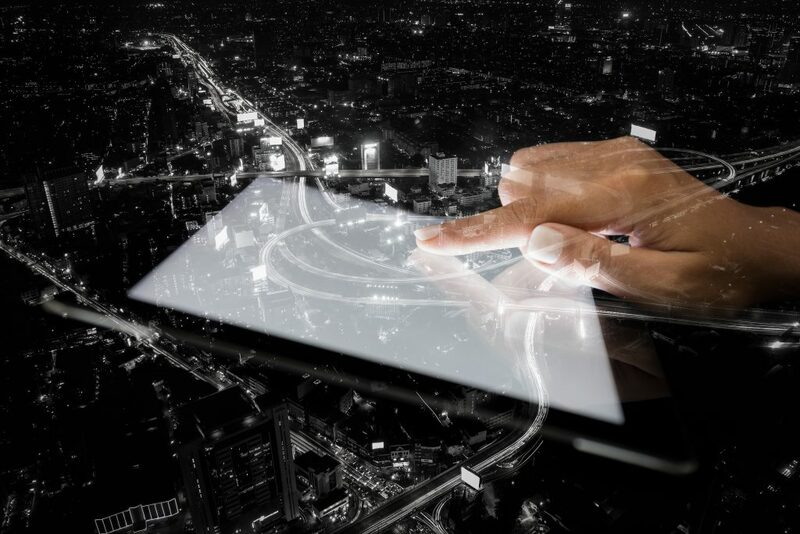 Even when building information is available in a digital format, the prospect of having instant access still seems like a distant possibility given today’s technology standards. Desktops and laptops by their inherent nature do not facilitate instant access to information like mobile devices do. Today we have advanced technologies that enable access to complex information on mobile devices – with just a swipe and a tap. You can access the information on the go – facilities techs are often away from their desks. In many instances they don’t have to drive back to the office in traffic to access their computers. If there is a fire or an explosion your facility is likely to be cordoned off and your servers down. On the other hand, if the information was accessible on mobile devices from the cloud that would be a game changer. Interestingly, there was a period of time when people used advanced technologies in their workplaces while the technology they used at home or in their personal lives was less sophisticated. Not anymore. Companies like Apple and Google have changed that. Today, people have more advanced technologies available in their mobile devices. They frequently take photos and videos and attach them to their messages. They are more likely to use Skype and Facetime at home than at work. Imagine a facilities technician who is staring down at a broken air conditioner or a burnt circuit board on the elevator motor. What if they could pull their phone and scan the QR code or take a photo of the required part, and send it to the parts department immediately while looking up the equipment information to find out if it is under warranty? Consumerization is in essence, what used to be privileged information that was only accessible to professionals and specialists is now freely available to anyone who is interested – in a format that’s easy to access instantly on the web (cloud). Let’s take an example. To find out any details about cancer or diabetes you can surf the web and get a ton of information within minutes. Previously, only a specialist or an oncologist could have shared this information with you. Remember Blackberry? It was previously known as a sophisticated business tool used primarily by business professionals. Today a small business owner or a retiree does much more with an iPhone than Blackberry ever offered. The result is that all business professionals now use an iPhone (or Android phone) and Blackberry is history! Apple simply consumerized what Blackberry believed to be an enterprise-only product. What’s consistent about all of these examples is not only the speed of information retrieval, but also the simplicity of the user interface. Technology available in today’s mobile devices, such as phones and tablets, is quite advanced. It often incorporates complex technology such as predictive analysis and artificial intelligence, yet it’s clear that no one requires any training to use these devices. Having an app in your hand rather than software on your desk is especially relevant to the Facilities industry. As the current population of facility professionals look to retire, it is critical that new, and less-experienced teams, can access necessary information without any risk to business continuity. With the technologies available today, every bit of information can be simplified and made accessible within seconds for anyone to use to perform their work – instead of being limited to a seasoned professional. That would address the pointed question which is facing the industry today. Why isn’t the information that facilities professionals need to complete their work and respond to emergencies instantly accessible via the mobile devices they carry every day? 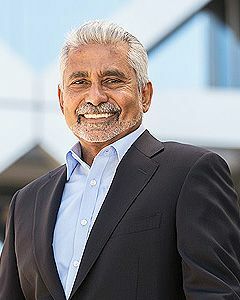 Prior to co-founding ARC in 1989, Suri worked for Aitken Spence & Co. LTD, one of the largest corporations in Sri Lanka. He has served as ARC's President and Chief Executive Officer since 2007 and was appointed Chairman of the Board of Directors in 2008.